Have you ever been in the situation where glass in your picture frame breaks or a frame gets damaged so you can no longer use it? Or maybe you just got tired of the frame or received it as a gift and it didn’t match your decorations. In celebration of the upcoming Earth Day, here are some of my ideas on how to repurpose old picture frames and turn them into something other than a way to display your photo memories. I had some old wooden frames that were just waiting to be transformed into something beautiful and unique. I decided to use them as chargers to dress up my table for a fancy dinner (seen in here in my Thanksgiving video). 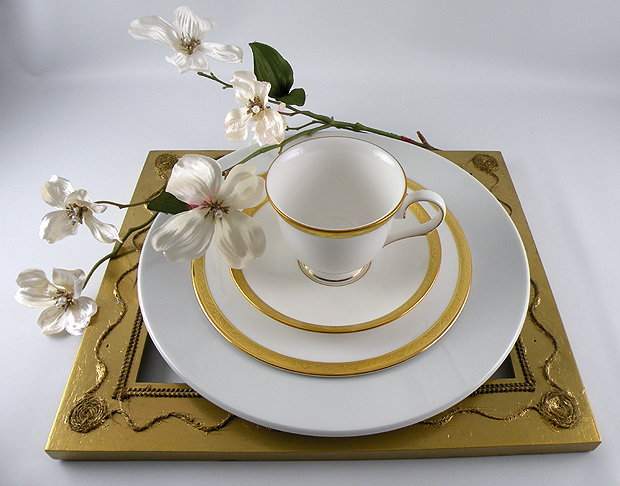 This would also look very nice at a wedding reception or bridal shower. 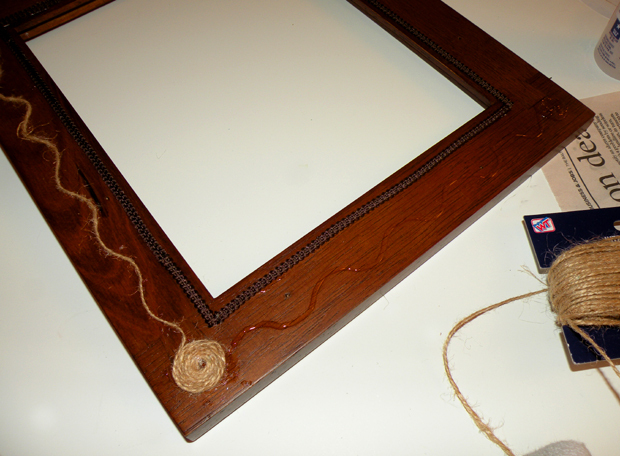 Step 1: Glue the textured rope or ribbon around the entire frame about 1/4 inch from the inside of the frame opening. Step 2: Coil the twine around itself to make a circle and attach with glue on the corner of the frame. Step 3: Draw a curvy line on the frame with glue and then attach the twine as shown above. Continue this process adding coiled circles to each corner and curvy lines to each side of the frame. Step 4: Once the glue is dry. 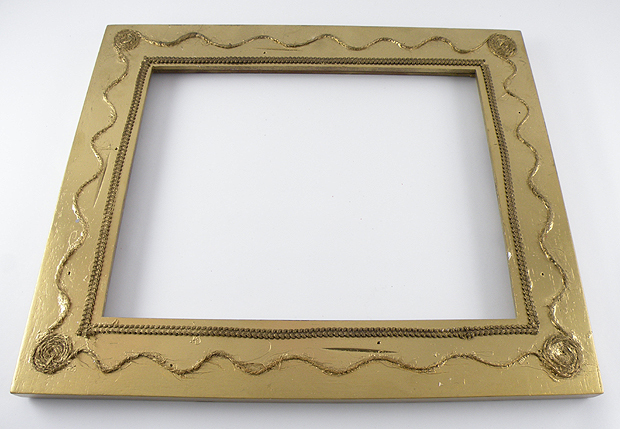 Spray paint the frame to give it a gilded look. If you still have the glass for the frame, you can use the newly transformed frame to display a photo taken from the event after it has served it’s purpose as a charger. 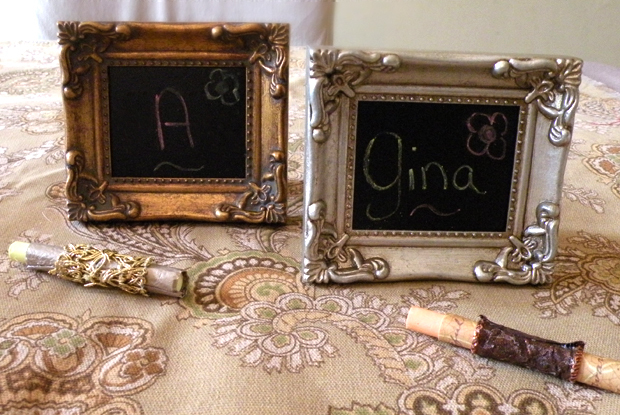 Another great way to repurpose a frame that has broken glass is to create a chalkboard. This will help lessen the sting if you are particularly fond the frame that was broken. Chalkboards are a great way to remind yourself of things you need to do or you can write yourself fun inspirational notes each day. Rather than fumbling around looking for a pen and something to write on, you have an instant notepad without wasting paper. 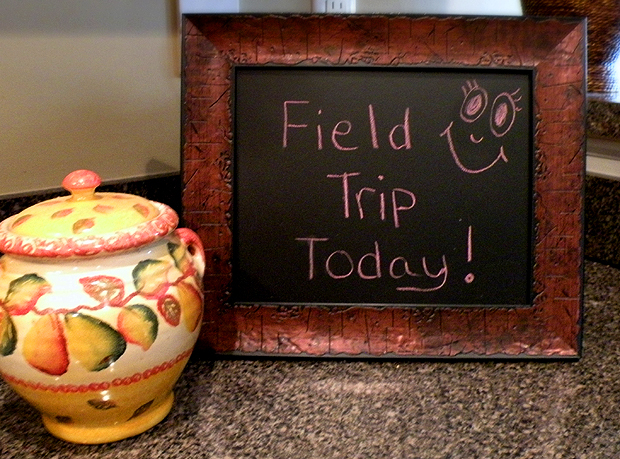 I like to have my chalkboard in the kitchen or near my front door. I write notes to remind myself of important things I need so I don’t forget them on the way out. This would also be great for kids in school to help them to remember important events, homework or tests. Step 1: Cut a piece of foam board the size to fit the inside of the frame. Spray an even coat of the chalkboard paint onto the foam board and let dry. Repeat with the second coat and let dry. You can also use small metal frame and attach a piece of chalk with a string, securing it on the back of the frame. It can be used in lockers or near a phone for quick access when you need it. You can use small picture frames for seating arrangement for a dinner party, wedding or any event where you want to designate where you would like people to sit. You can also write the names of the food you are serving and place them on a buffet table. The frames do not have to match — it actually will look better if the all are a different color and design. I like to decorate pieces of chalk with decorative paper and ribbon to place on the table so my guests can play with the chalkboard after they eat. Who doesn’t love to write on a chalkboard? 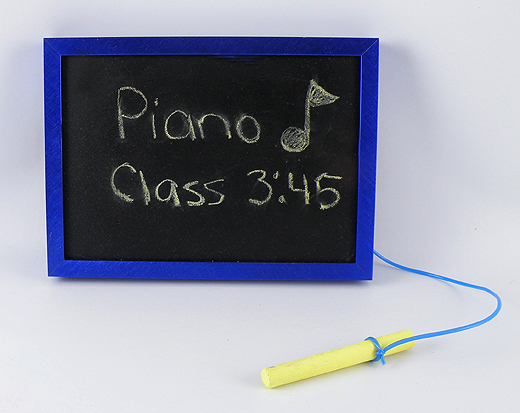 To create these mini chalkboard frames, just follow the directions above for the Picture Frame Chalkboard. 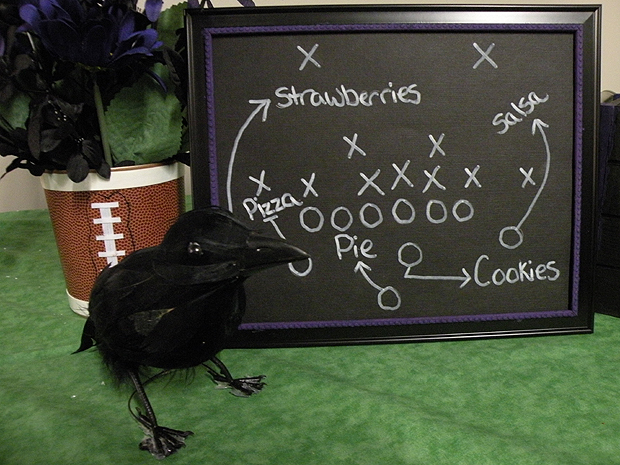 Here is an idea I created for my Raven’s Championship Party on WBAL to show how to celebrate Raven’s style. Rather than used chalkboard paint, I cut a piece of sturdy black card stock and fit it into the frame. You can write on it like you would a chalkboard, using either chalk or a white marker which you can buy at your local craft store. This is a great way to display a listing of food you will be having at your event without the time spent to actually make a real chalkboard. I hope you enjoyed this post and happy reusing! This entry was posted in Crafts, Everything, Holidays, Recycle and tagged black cardstock chalkboard, Broken picture frames, chalkboard, chalkboard paint, chargers, Gina Tepper, gold charger, picture frame chalkboard, picture frame chargers, place seating, Reused Picture Frames. Bookmark the permalink.